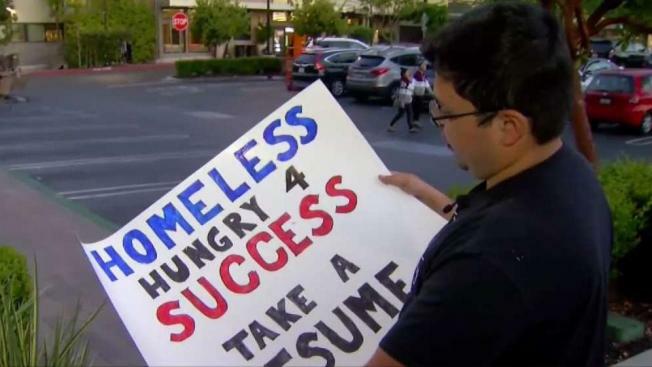 David Casarez stood in an intersection in Mountain View holding a sign that read "Homeless, hungry 4 success, take a resume"
A single post by a good Samaritan on Twitter has given a homeless unemployed worker new hope. Roz Plater reports. A single post by a good Samaritan on Twitter has given a homeless and unemployed worker new hope. David Casarez stood in an intersection in Mountain View holding a sign that read "Homeless, hungry 4 success, take a resume." "All I wanted was for one person to notice, take my resume and give me an opportunity," said Casarez. The 26-year-old came to the Bay Area last September, armed with a college degree, three years of experience as a software developer, a few months’ salary and a dream of launching a startup. "If you want to come out here and play with the big dogs, this is where you have to be," he said. However, Casarez underestimated the cost of living and how hard it would be to find a job. 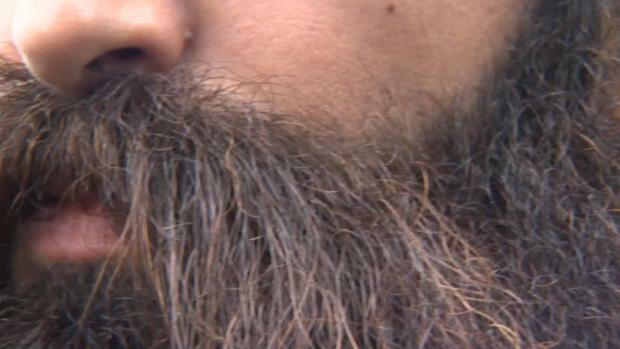 He lived in his van until he couldn’t afford the payments and lost it back in June. Since then, he has been sleeping in a park. "This is my make it or break it moment," Casarez said. "I have to do something crazy." A woman who saw him posted his plight on Twitter and the post went viral. Since then, he’s been contacted by several companies. "I knew it would be posted on social media, I didn’t know it would blow up like this," he said. "I’m trying not to take any money, I really do just want a job opportunity, that’s all I’m asking." Casarez has heard from tech companies in the Bay Area, around the country and even Canada, asking him for his resume as soon as possible, giving him hope that his nights sleeping in a park will soon be over.